Sophie has been with the practice since November 2010 and qualified as a dental nurse in 2011. 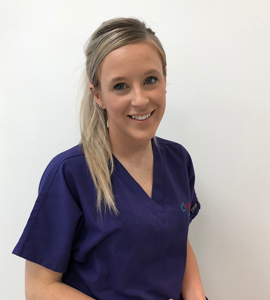 Sophie completed the SAAD dental nurses sedation course in London and also passed her SVQ in dental radiography in 2015. Sophie is our practice first aider and also assists with sedation and implant procedures. When Sophie is not at work she enjoys spending time with her young children.